It’s the sibling rivalry to end all sibling rivalries. 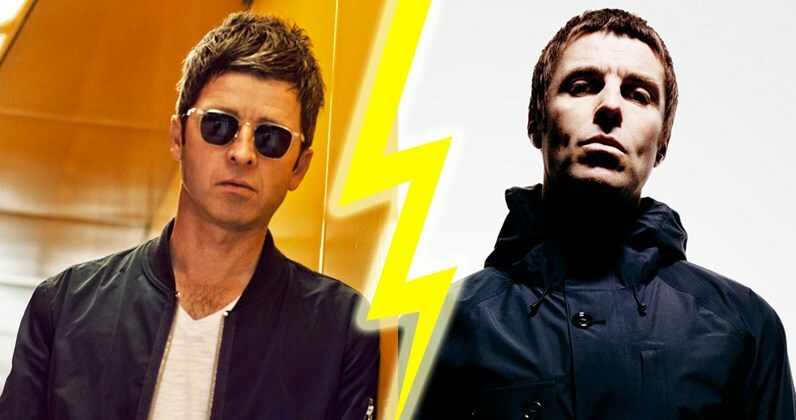 Liam vs Noel – whose side are you on? With Liam’s debut album, As You Were, charging towards Number 1 with huge sales this week, and a new Noel Gallagher’s High Flying Birds record arriving next month, Official Charts has looked into the numbers behind their post-Oasis careers to see who can claim bragging rights as the most successful brother. Liam’s first solo album, As You Were, is on course to break 100,000 combined sales in its opening week. Only Ed Sheeran and Rag’n’Bone Man have achieved the same so far in 2017, while David Bowie and The Rolling Stones managed to smash that barrier last year. With 87,000 units shifted as of today (October 10), As You Were has already recorded the third highest first-week sales for an artist album this year, outselling huge Number 1 LPs from the likes of Foo Fighters, Stormzy, The Killers and Harry Styles. As a bonus fun fact, those 87,000 combined sales mean that Liam has already shifted more than the opening week sales for Oasis’s debut album Definitely Maybe, which logged 56,000 sales in week 1 back in 1994. Rag’n’Bone Man recorded the fastest-selling debut album of the decade by a male artist back in February, notching up 117,000 combined sales in week one. As You Were is in touching distance of taking that glory away from Human – and with three days of the chart week left to go, he’s not out of the running yet. With two Top 3 albums under their belt, Beady Eye were by no means a flop. It’s just that they didn’t quite measure up to Oasis’ monumental success. The group’s debut album Different Gear, Still Speeding notched up 67,000 sales in its first seven days on sale back in 2011, peaking at Number 3 on the Official Albums Chart. Noel Gallagher’s High Flying Birds’ third studio album Who Built The Moon? is one of Q4’s most anticipated releases (out November 24) – and all eyes will be on it to see if it can eclipse (pun intended) As You Were. But we’re not here to predict the future, we’ve got history to talk about. And luckily for Noel, his is a glowing one: both of High Flying Birds’ albums reached the Official Albums Chart Number 1. Plus, he will also be pleased to know that both of his post-Oasis albums outperformed Liam’s first two. The Birds’ debut self-titled album, released in 2011, is their most popular, selling 123,000 in its first week. It is the third fastest-selling debut album of the decade, behind One Direction and Rebecca Ferguson’s first efforts. Interestingly, it was the only one of those three to hit Number 1, so Noel and the lads have one over on 1D and Fergo in that sense. Meanwhile, NGHFB’s second album Chasing Yesterday sold 89,000 in week one, securing Noel’s ninth Number 1 studio album of his career when you include Oasis’ seven chart-topping records. Although Liam’s As You Were is on track to outsell the second album released by High Flying Birds, it looks like Noel has the sales edge over his younger brother. But with Liam on course for a blockbuster week with As You Were and Noel eyeing up the same with his next collection Who Built The Moon?, this battle is far from over yet.